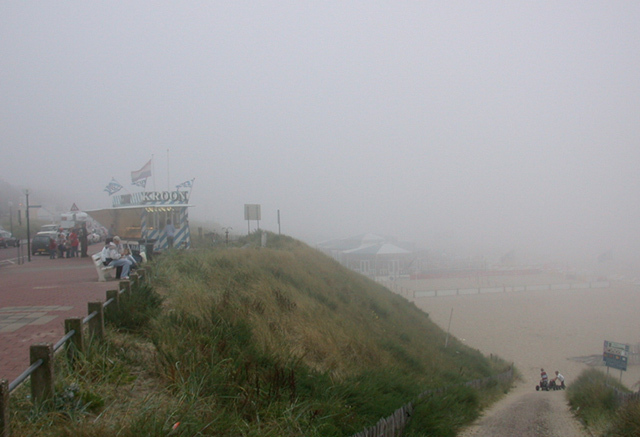 The Zandvoort weather forecast is an everyday topic of conversation amongst both the local people and visitors to the resort and that’s because it affects many activities. A warm and sunny Zandvoort is great for people to enjoy Zandvoort beach and that’s when lots of day trippers visit the resort. The result of this for Zandvoort itself is that the town’s traders enjoy good business (shops, restaurants, bars, fish stalls and beach cafes). It’s only on ‘good weather’ beach days that you’ll also get to see planes flying over the beach with huge banner advertisements high up in the sky. 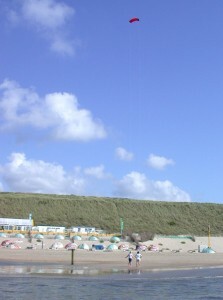 Warm, sunny weather in Zandvoort is also good for activities away from the beach – such as cycling or walking in the dunes and even hang gliding. Good weather can make the difference between success and failure where special events are concerned. Each year in Zandvoort there are a number of large scale events which take place – such as the Jazz on the Beach music festival in the summer and various international racing events at the Circuit Zandvoort Race Track. If conditions are really good when these events are staged, there can be queues of traffic for many kilometres coming into Zandvoort! One of the best weather forecasting websites in Dutch, used by both locals and day-trippers, is: De Meteopagina This is owned and operated by Alexander Van Den Horn – an experienced local forecaster.